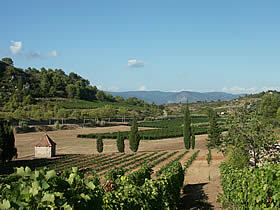 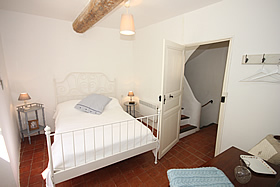 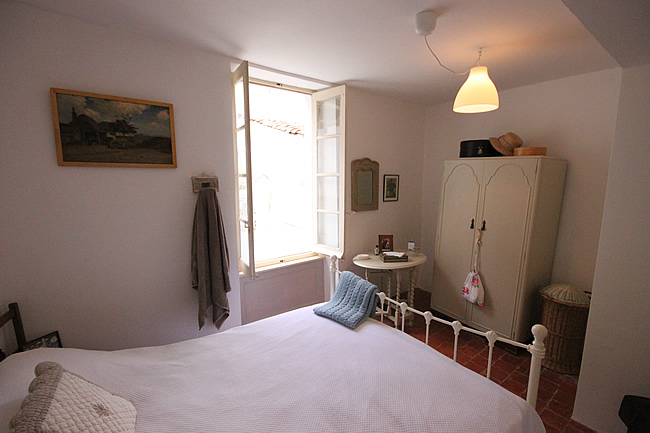 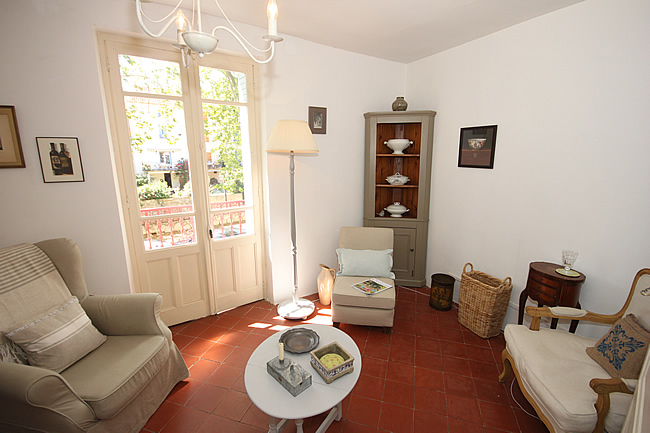 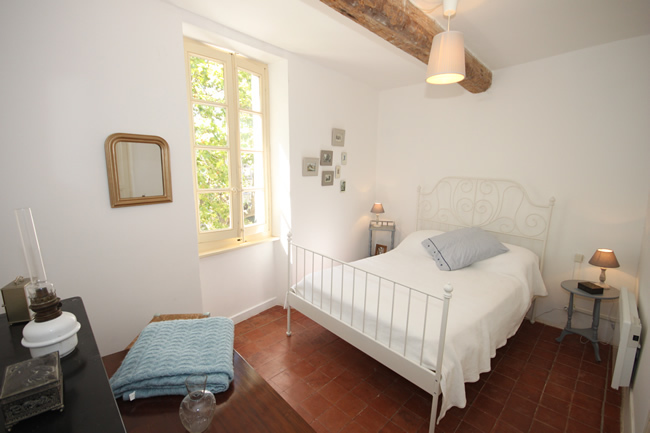 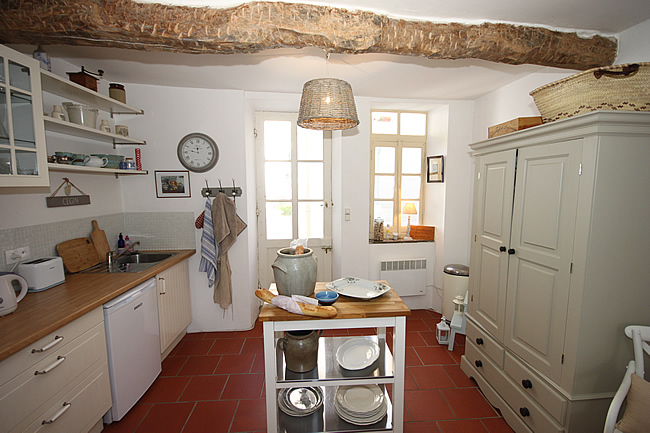 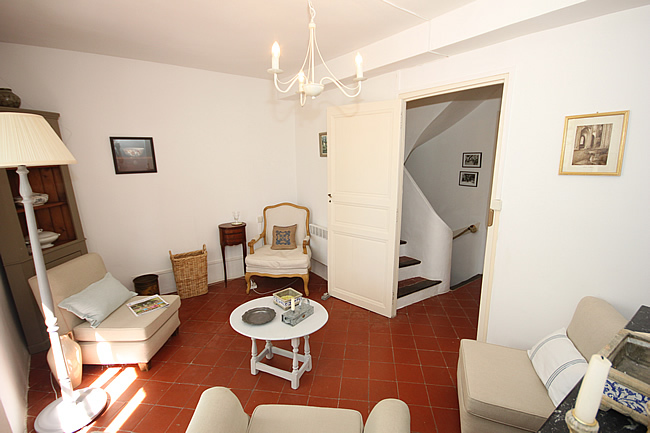 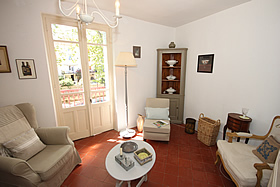 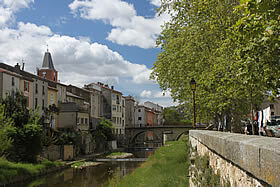 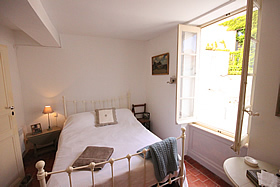 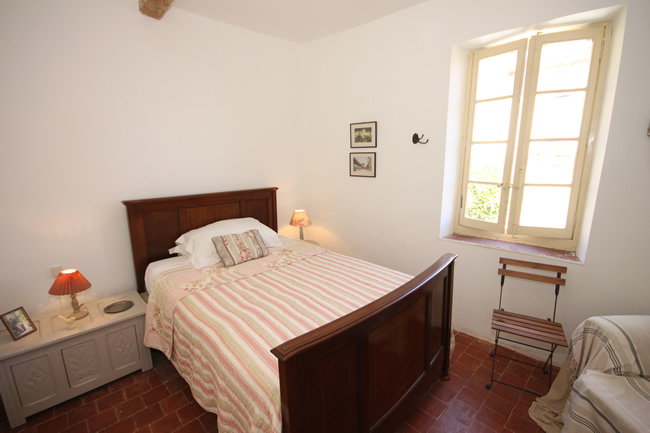 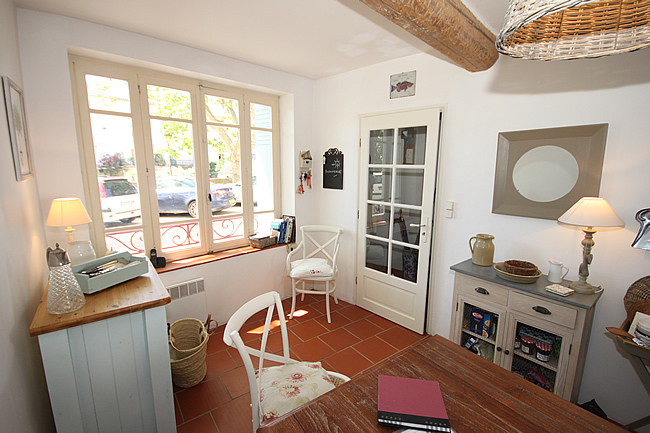 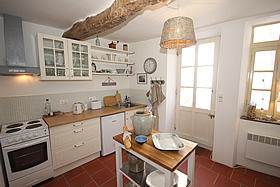 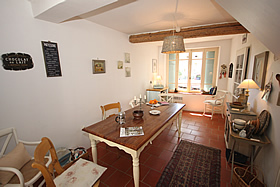 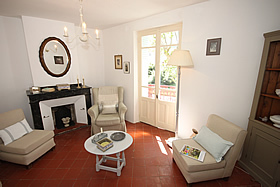 Les Hirondelles is a stylish village house, overlooking the Vernazobres river, near the centre of Saint Chinian. 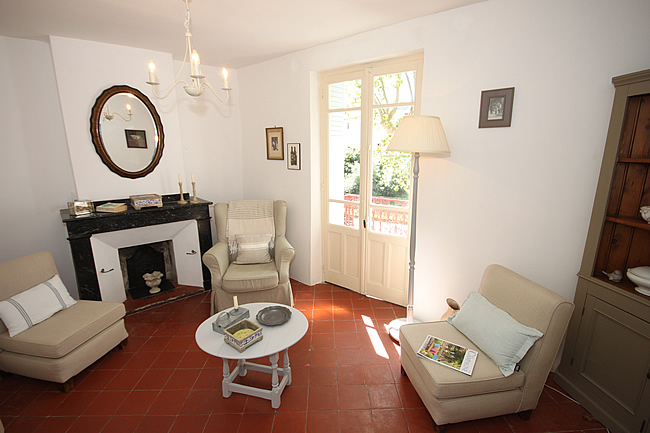 The house has been lovingly renovated and furnished to a very high standard with three bedrooms and two bathrooms and decorated with flair and imagination by the owners. The courtyard terrace behind the house catches a lot of sun. 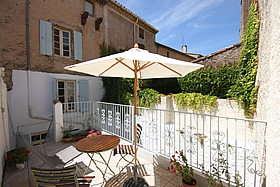 Roadside car parking available opposite the house. 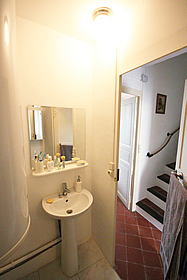 Step through the old front door and into the welcoming hallway, where a glass door on your right leads into the kitchen and dining room, the heart of the house. 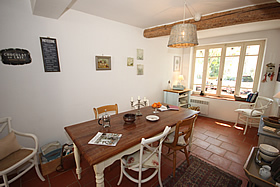 The dining area is beautifully furnished with a rectangular dining table and chairs, and the large window overlooks the front of the house, making the room very light. 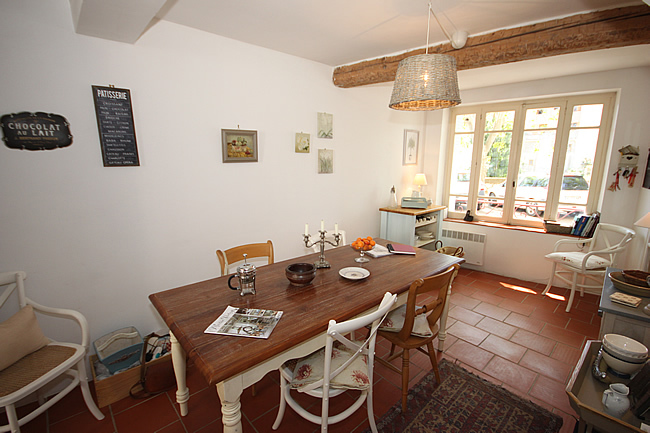 The kitchen is at the other end of this floor and open to the rest of the room; it is equipped with an electric cooker, fridge, toaster, electric kettle, cafetiere coffee maker (French Press) as well as everything necessary for dining and cooking. 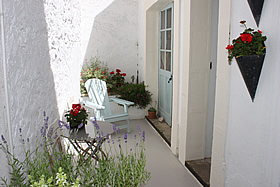 From the kitchen a door gives access to the courtyard, from where steps lead up to the terrace, which is perfect for relaxing in the sun or eating out. Two deck chairs as well as a table and chairs and a sun umbrella make this ideal for outdoor living. At ground level in the courtyard is a small round table with two chairs, perfect for breakfast in the shade. 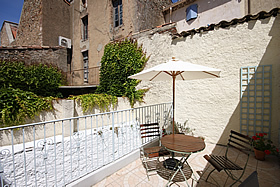 A BBQ is available to be used in the courtyard. 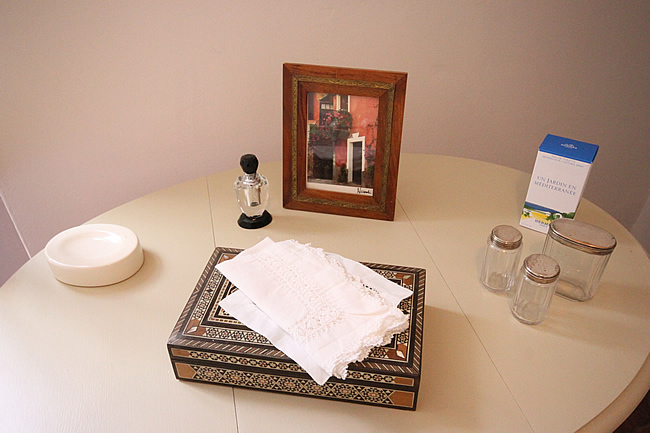 Off the courtyard is the utility room, with washing machine, iron and ironing board, and under-counter freezer. 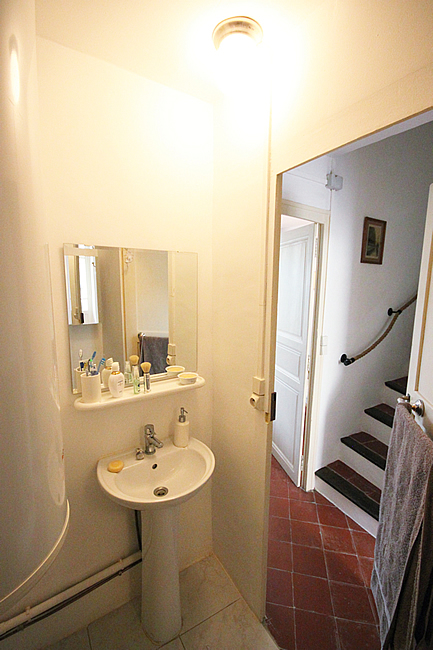 On the first floor is the master bedroom, and a shower room. The bedroom is furnished with a king size bed, bedside tables, wardrobe and a small table and overlooks the courtyard and terrace. 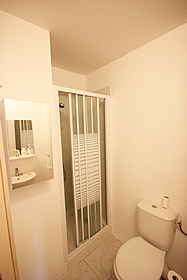 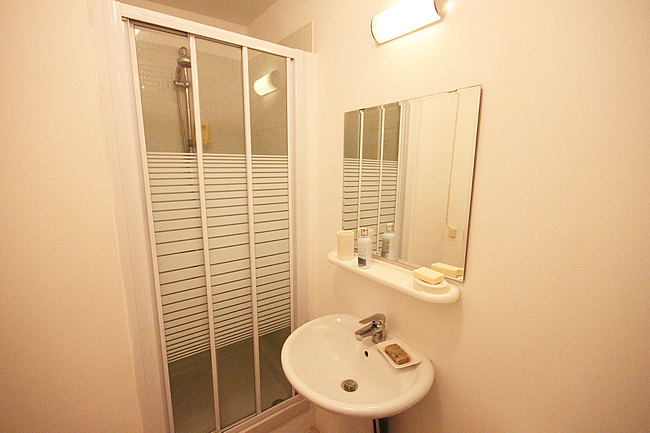 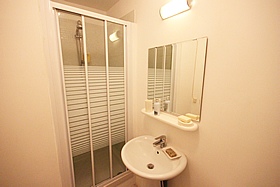 The shower room next to this bedroom has a shower cabin, WC and wash basin. 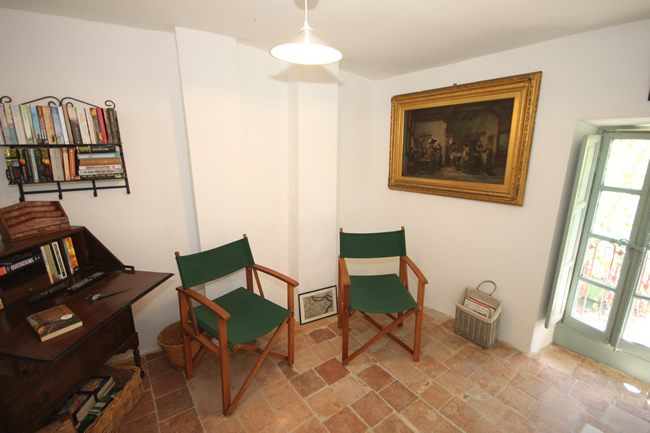 The sitting room on this floor overlooks the front of the house and is furnished with comfortable chairs, perfect for relaxing. 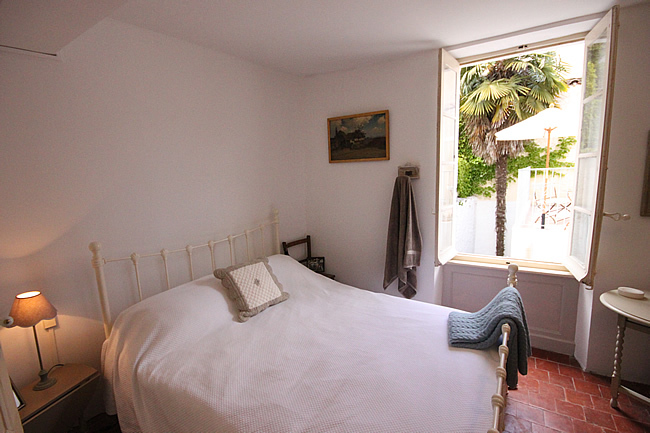 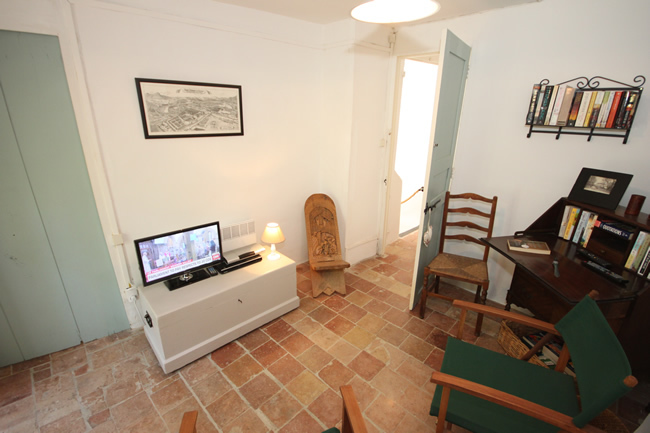 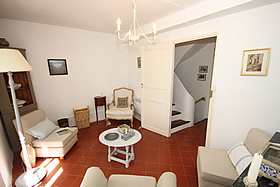 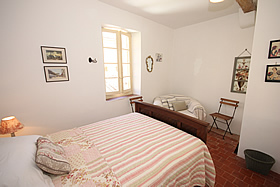 On the second floor are two more bedrooms, both furnished with a double bed. One bedroom overlooks the terrace and courtyard, the other overlooks the river. 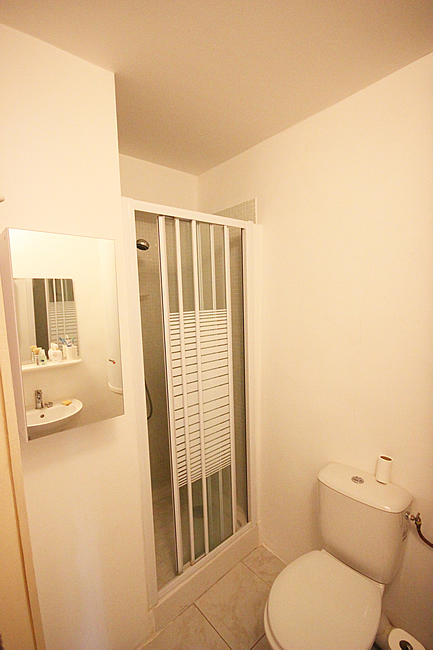 The shower room on this floor also has a shower cabin, WC and basin. 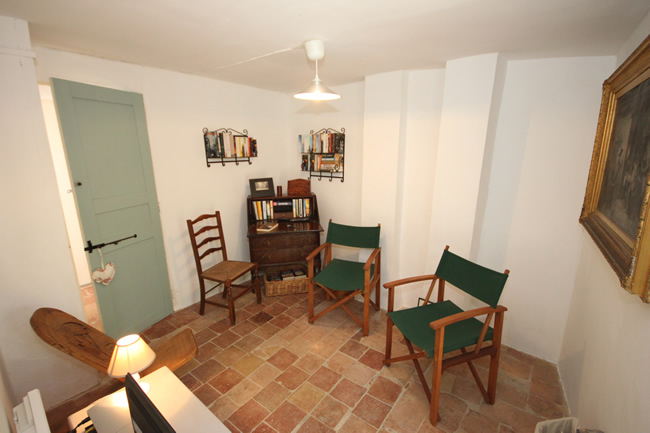 The study on the third floor is furnished with easy chairs and a writing desk, and here you will find the 22" flat screen television and DVD player. Broadband internet access is available either through ethernet (cable) or WiFi. All rooms are equipped with electric heaters, for comfort during the winter months. 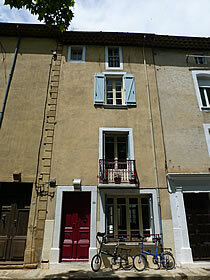 The shutters on all windows help to keep the house cool during the summer months, and cozy during the winter months. 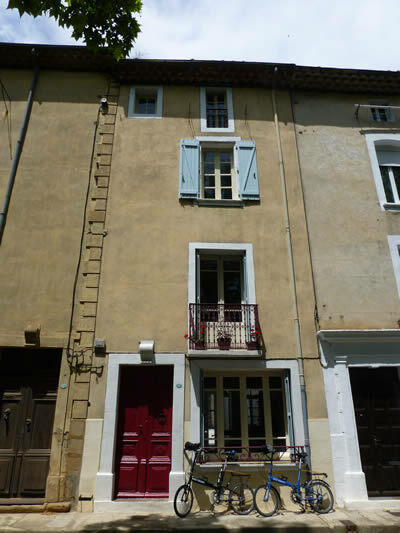 Please note: Because of the nature of the property, this house is not suitable for persons with reduced mobility or small children.